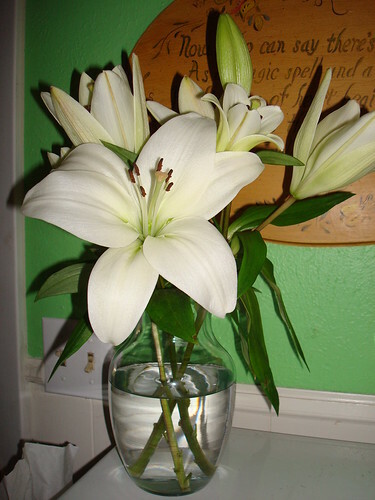 ....to try to have some type of fresh flower in my house each week, even if it ends up being a single carnation in a water glass. The budget may be tight, but I don't think that beauty is a luxury, and having just this one vase of flowers has given me a pretty place to rest my eyes this whole week. I'm keeping it up. It was the best $4 I spent last week. This page contains a single entry by MamaT published on March 31, 2009 12:08 PM. Please go here..... was the previous entry in this blog. A Quote is the next entry in this blog.